Hydro-jet cleaning by Texas Premier plumbing is a method of cleaning with high pressure streams of water to remove build up and debris in tanks and lines. This process may best be compared to power washing which has also gained popularity as a means to clean driveways, homes, streets, commercial vehicles and more. Water blasters are essentially pressure washers with extreme pressure from 7,000 PSI to 60,000 PSI. Texas Premier plumbing Hydro jetting service should be done by a professional plumbing technician. The high pressure could damage lines if they are not properly inspected first. Our Texas Premier plumbing quality plumbers are trained with the use of the Hydro-jet and know what to look for to prevent damage and thoroughly clean the entire system. Texas Premier plumbing’s Hydro-jet units are classified generally as delivering ultra-high pressure. This range of pressures are designed for unique applications like pipe cleaning, water jetting, precision cutting, and surface preparation to name a few. Common uses are found in industries like construction, marine, aviation, and manufacturing. Texas Premier plumbing’s Hydro-jet service can be applied for commercial customers as well as residential customers. 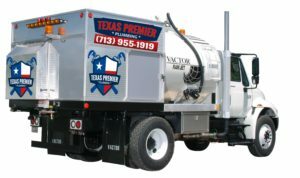 Texas Premier plumbing’s Hydro-jet are extremely good to be use for professional Drain Cleaning service. The Texas Premier plumbing’s Hydro-jet units can be built with electric, gas, or diesel engines with cold or hot water options depending on the application requirements. One should use safety equipment to protect the body and feet from accidentally injury.